The Maldives is a desert-island dream with over 100 exclusive luxury island resorts. Located southwest of Sri Lanka, on the equator, this part of the world is simply paradise. 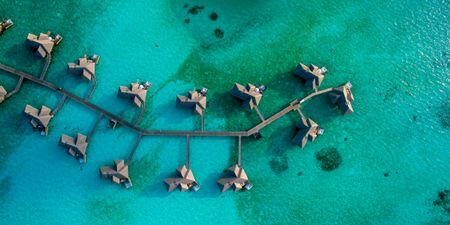 1,190 tiny coral islands form an archipelago of 26 major atolls with 202 inhabited islands and 100 exclusive luxury island resorts offering turquoise lagoons, white sandy beaches and over-water villas. 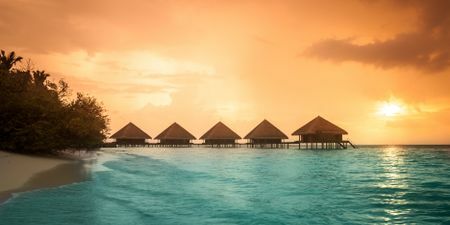 Feel like you're the only two people in paradise on this Maldives honeymoon itinerary featuring overwater villas surrounded by pristine beaches and turquoise waters. Enjoy scuba diving lessons, indulgent dining and a secluded overwater villa on this stunning honeymoon retreat. Dubai is one of the world's most exciting destinations, guaranteeing a fun-packed, unforgettable honeymoon and the Maldives epitomize the ultimate honeymoon retreat. Spend 5 exciting nights in Dubai before heading to the Maldives for the remainder of your trip in an out of this world overwater bungalow. 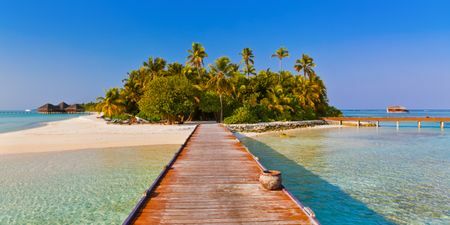 Take in the stunning scenery of Sri Lanka's tea country, combining culture and adventure, followed by the beaches and seclusion on one of the idyllic island hideaways in the Maldives with this postcard-perfect honeymoon itinerary. This once-in-a-lifetime trip in the Maldives offers newlyweds rich heritage, light adventure, incredible diving and your own private overwater bungalow.